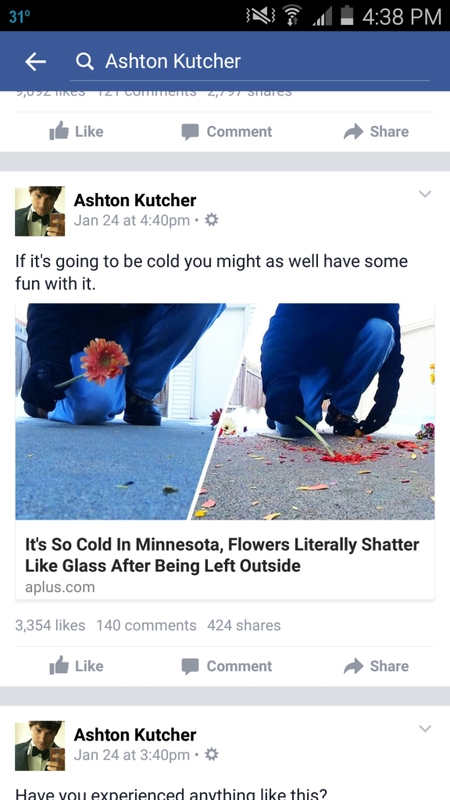 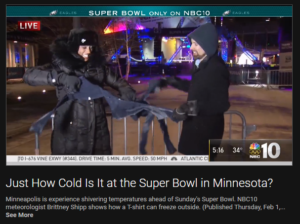 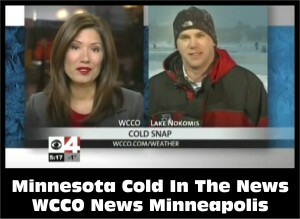 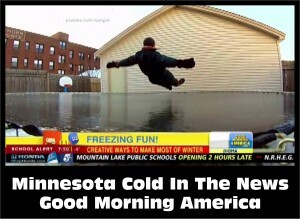 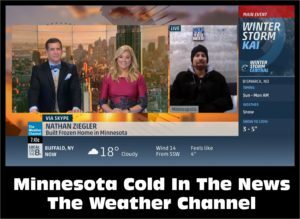 The Minnesota Cold Video Series has been featured on many newscasts, television shows, and websites including the The Weather Channel, Good Morning America, Wake Up with Al, ABC News, and the BBC. 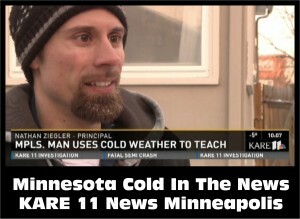 Click on the links below to view or read some of the featured stories. 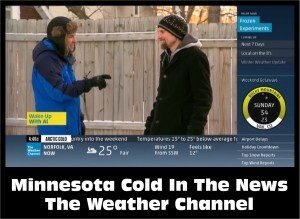 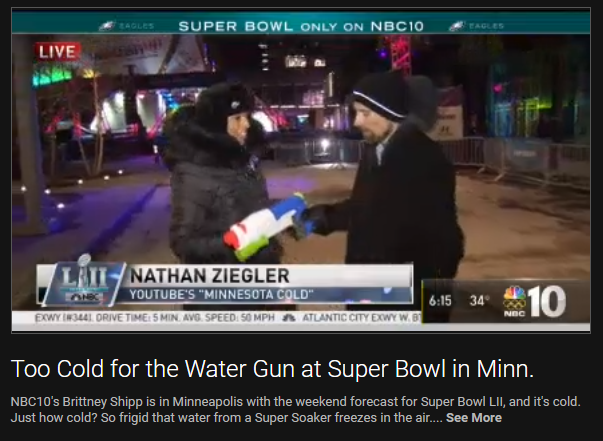 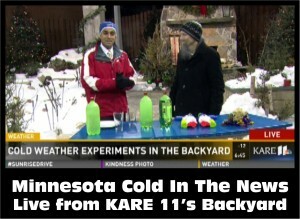 Watch the Minnesota Cold Video Series on by clicking on the YouTube video playlist below. 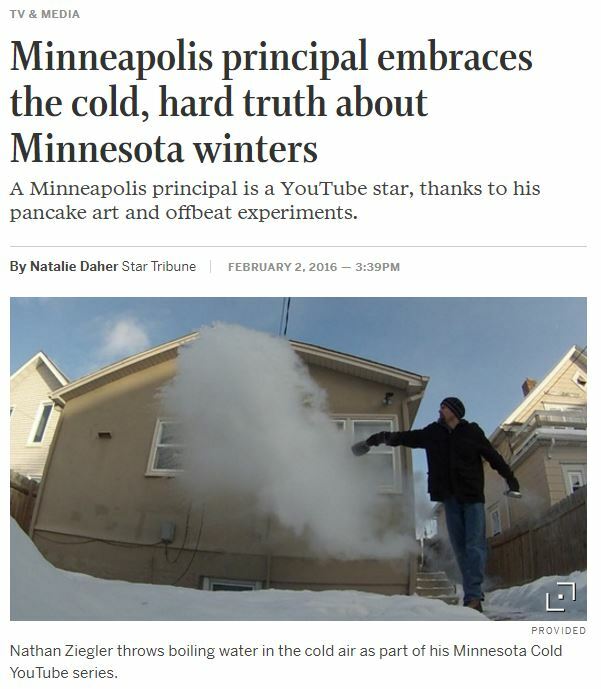 We don’t just limit ourselves to making videos during the coldest times of the winter. 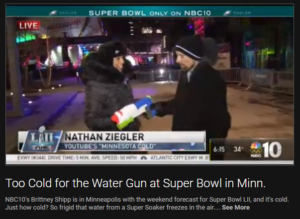 One of my non-Minnesota Cold favorites was filming my wife Tennille dancing in 32 different locations at Disneyland for their 60th Anniversary Celebration and seeing her on the TV show Let’s Make A Deal. 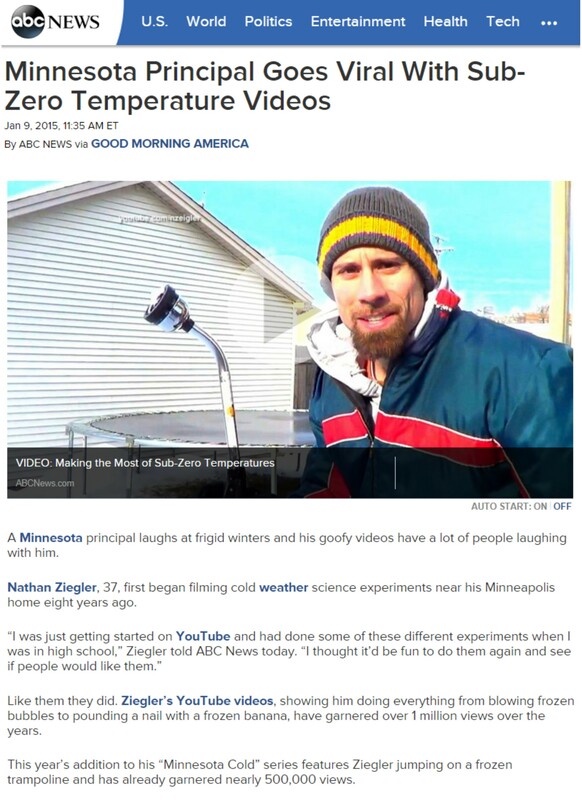 We also have produced several How-To Videos that you may enjoy.